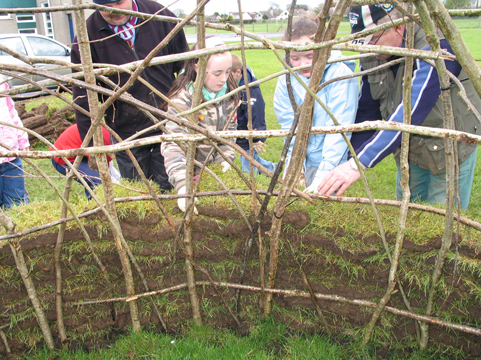 Building a Mesolithic hut. 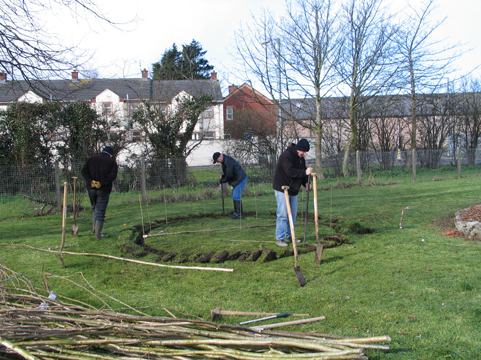 Hazel rods are driven into the ground and tied at the top. 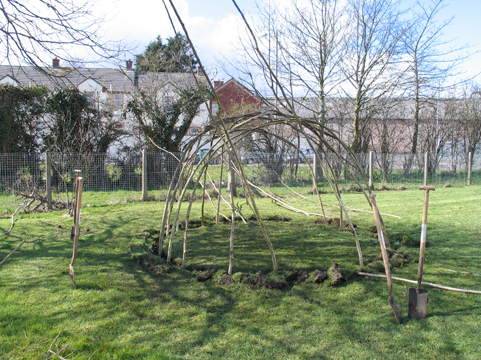 Building a Mesolithic hut. 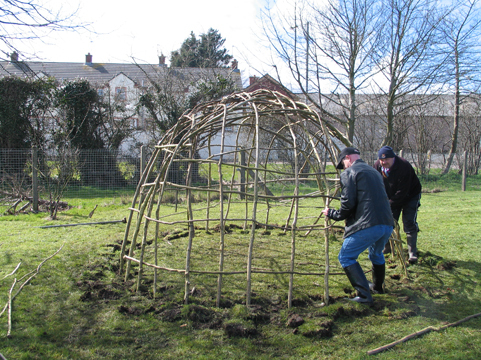 More hazel rods are woven in to strengthen the dome. 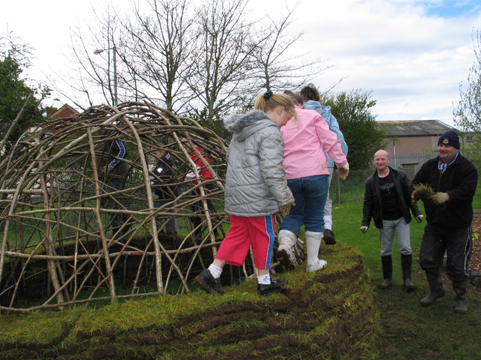 Building a Mesolithic hut. 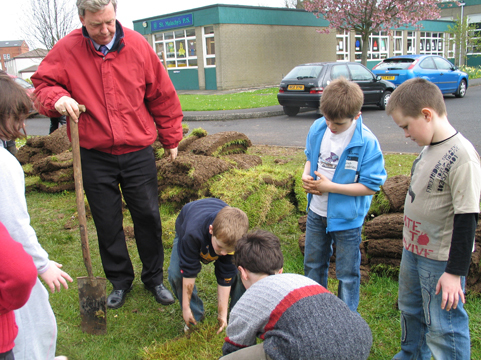 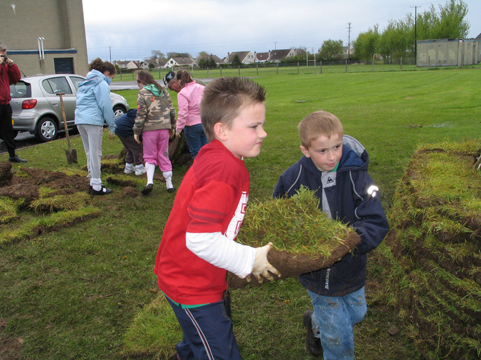 St Malachy’s pupils cut turf sods for the walls. 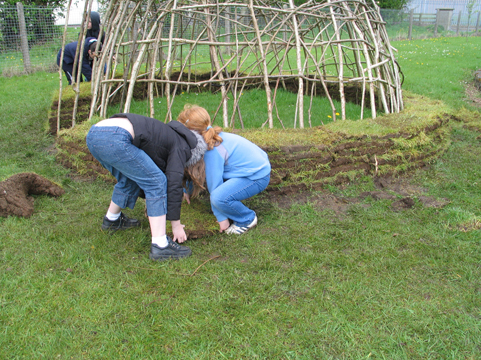 Building a Mesolithic hut. 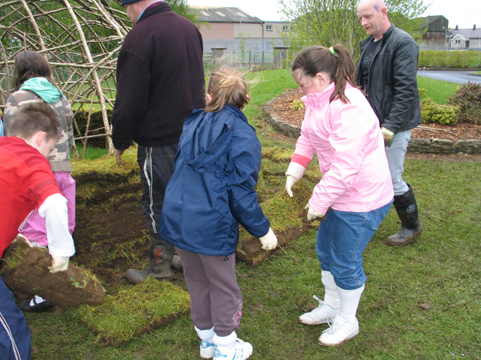 St Malachy's pupils start to build up the walls.